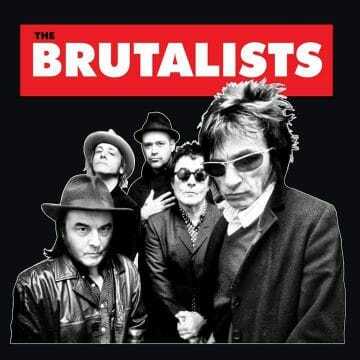 The Brutalists are a “new” group featuring former L.A. Guns guitarist Mick Cripps and original London Quireboys bassist Nigel Mogg along with Robert Cripps, Kent Holmes and Charlie Nice who according to Blabbermouth will be releasing their debut album via Cleopatra Records in August 2018. “It all started in 1979 when a local MP noticed the rising tide of drug use and violence among the disaffected young people living in the new Brutalist tower blocks. The government then funded a study which showed that the general living environment mixed with a lack of distractions was creating a state of extreme nihilism. …so a pilot program was conceived. Five young men between 8 and 12 years old were chosen from housing estates to form a pop group with a positive message which their fellow youths could be inspired and entertained by. A common room was put aside for rehearsals and equipment was bought. Songs with themes of FRIENDSHIP and UNITY were brought in from outside writers. A gig was booked at a festival in a local park to showcase the results of the program. All was going well…and then disaster struck. Always something of a troublemaker, singer Nigel Mogg got his hands on some unapproved records, which he brought to the other band members. Then, unbeknownst to their supervisors, they holed themselves up in their rehearsal room and wrote entirely new songs. The day of the show arrived, and the park was packed with onlookers and government officials eager to see these bright, upstanding young men and their calming message. The program was immediately ended, and the group disbanded. Their names were scrubbed from history, and the government denied any of it had ever taken place. …until 2017, when, by a fluke, all of the members found themselves living in Los Angeles. Meeting up for a jam, they decided to make another go at it, older and wiser, but unbeaten. They played their first gig in January of that year and are now finishing their debut album, which will be released in 2018. Uploaded by sleekmonth on 2017-01-24.